Are you looking for fun ideas to connect your students to reading during National Book Month? Here are four ways to get your elementary learners creating with Wixie to engage with both literature and informational texts they are reading. While many students love reading, others do not enjoy it. Many of these students can be turned on to reading fiction and nonfiction with the use of comics. Asking students to create comics that retell stories and information, engages them in the process of summarizing and using non-linguistic representations to share their knowledge and thinking, both strategies found by Marzano’s team to increase student achievement. Comics are also a fun way to get students to think more deeply about the informational content they are learning and how they might share it to educate others. From retelling history to sequencing the steps of the water cycle, comics are a great way to engage students with informational texts. After reading a story, myth, or fairy tale, ask your students to create their own version. Get students to think more deeply about a fairy tale or myth by asking them to create a modern version. After reading Jan Brett’s The Mitten, Georgia educator, Melissa Aspinwall, had her students work together to create their own version of the story. Her students came up with a fun book entitled The Adventurer’s Hat, which shared information about the animals found in Georgia’s woodland habitat. Instead of the tired book report, add some spice to sharing what they read by asking students to craft an interview with the main character. Rather than answering your questions on a worksheet, students need to determine what questions they should ask, making them think more deeply about events in the story. Character interviews also provide a natural opportunity for students to quote evidence from the text. Interviews are a great way to engage students in thinking about informational content as well. Students can interview an animal they are studying, or craft an interview with an artifact from long ago. Writing questions and answers in the first person also helps students avoid a simple copy and paste of information. You can also push your students past telling about a book they have read by asking them to create a book trailer (lesson plan). Like a movie trailer, a book trailer uses information about character, plot, and setting in a way that motivates someone to choose that title to read next. If you have gifted learners in your classroom, challenge them to create a trailer for a nonfiction book! We often talk to our students about ways that authors hook and hold readers, but this occurs mostly in the context of a story. Get students to dive into informational text with the thought of how to hook and hold a readers interest with facts and information. 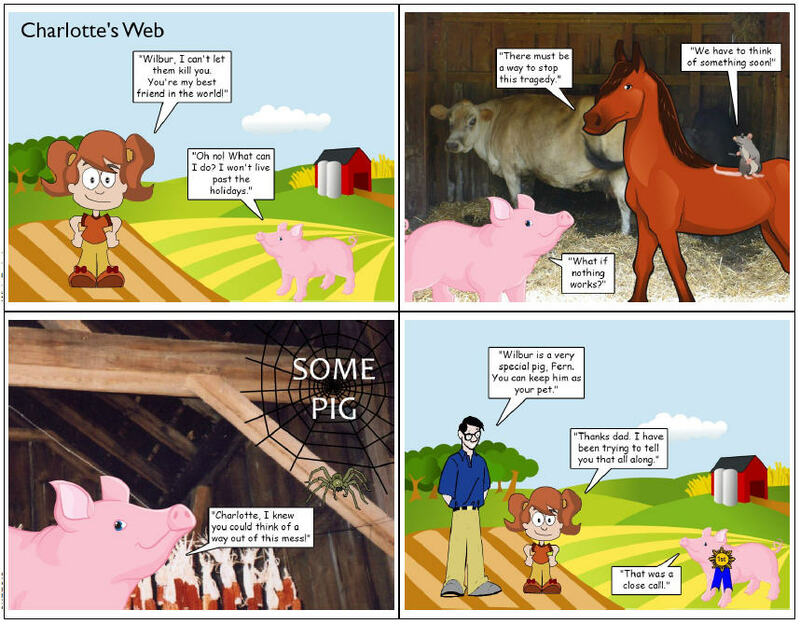 You can find even more ideas and samples at the Wixie page for National Book Month.